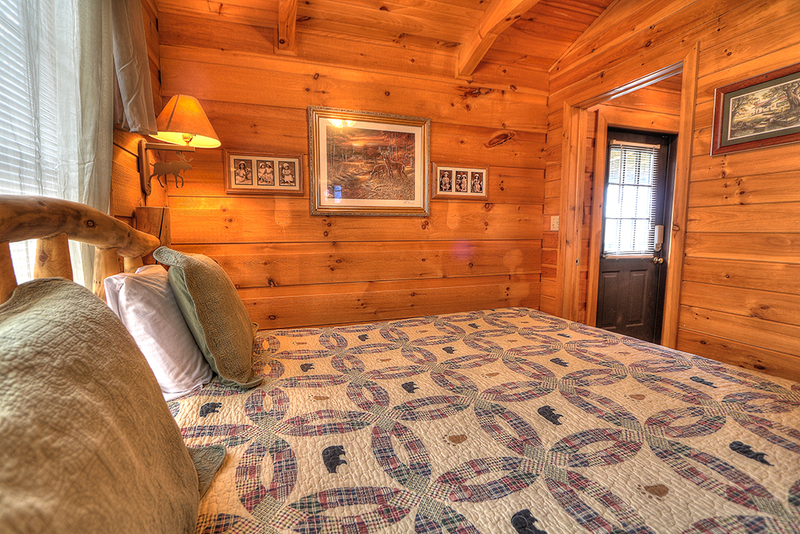 This adoring cabin in the Wears Valley area is just right for the sweethearts in all of us. 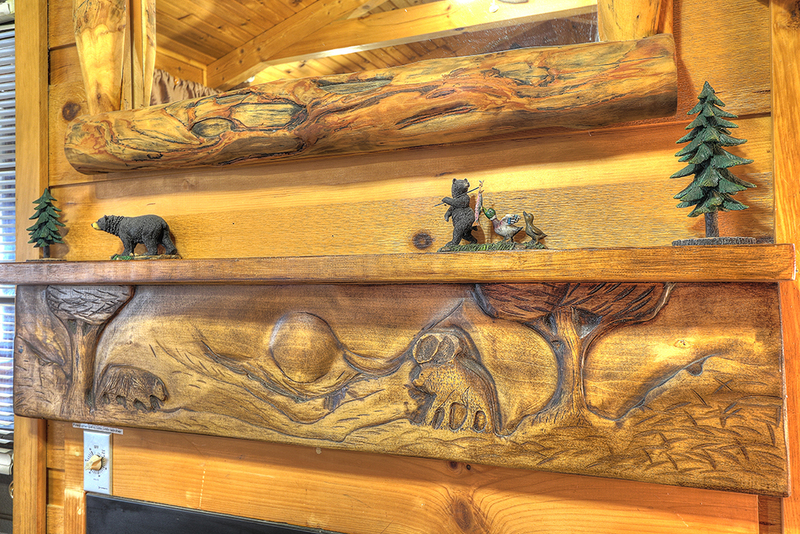 It boasts a king bed in bedroom with tv and a sleep sofa in den for your little one. 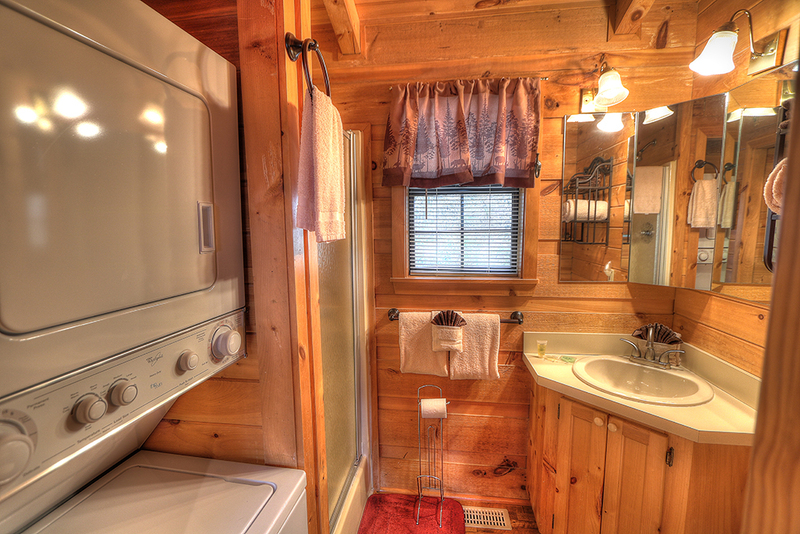 This cabin is equipped with a washer and dryer for your convenience. 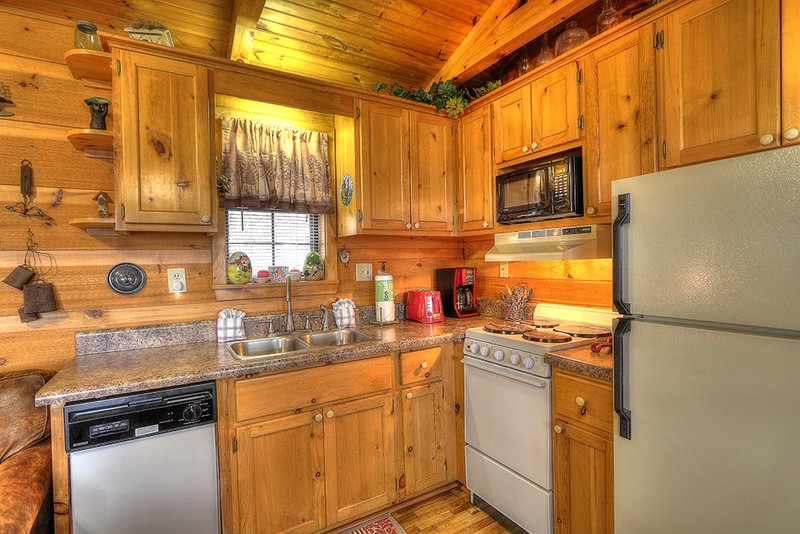 The fully stocked kitchen has a dishwasher and all utensils for preparing your meals at the cabin. There is a covered swing on the porch where you can sit and watch the setting sun and all God's glory. 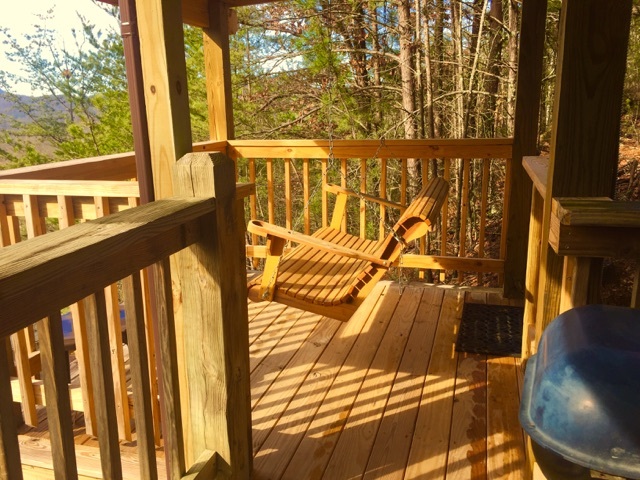 Take a dip in your private hot tub situated on your screened in porch. Or build a fire in your own fire pit and enjoy your night under the stars. 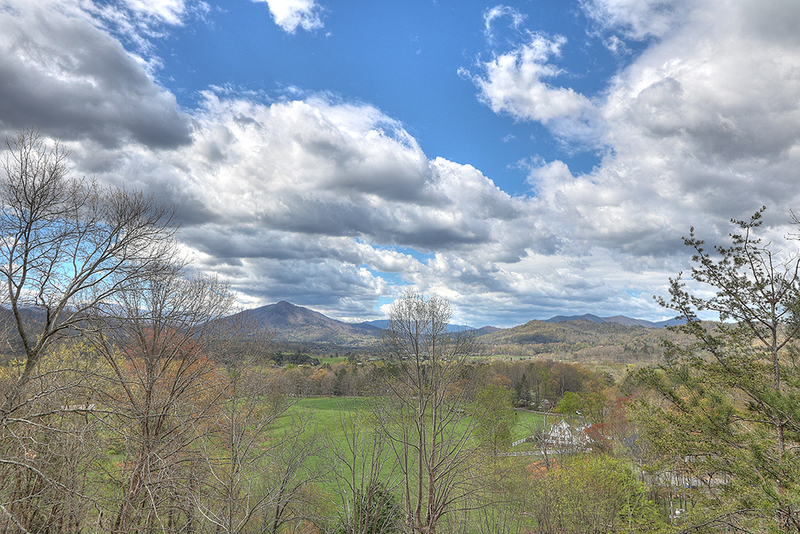 Southern Exposure is just right for a couple or small family to enjoy the Smoky Mountain National Park. 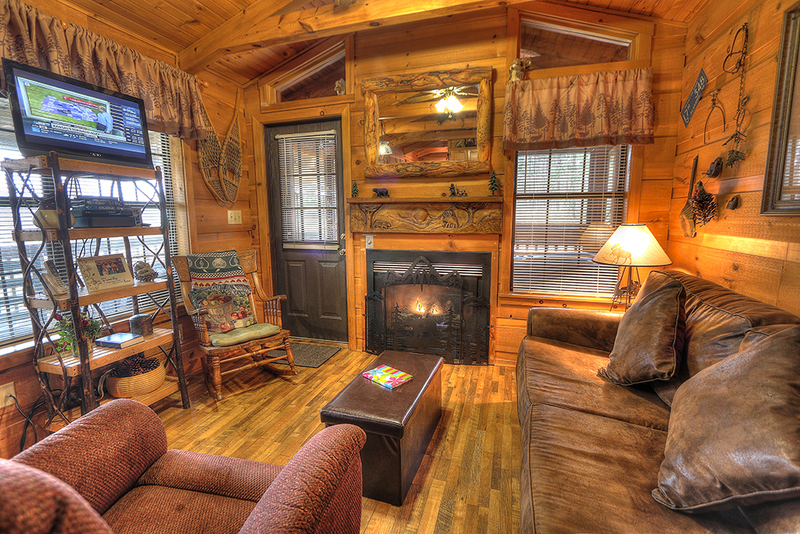 We will definitely stay in the Southern Exposure cabin again! It was quaint and cozy and the local donkey and rooster made me feel right at home seeing as I live in the country! Staying with Maples Ridge was an excellent experience. 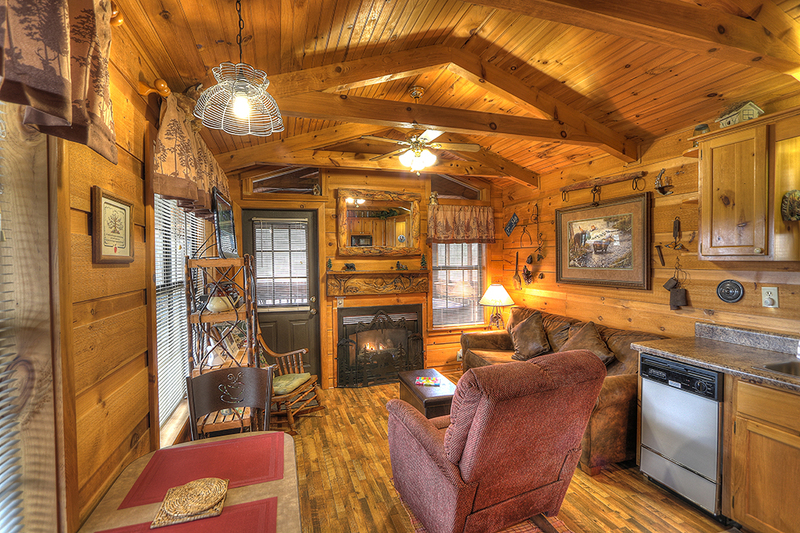 Their customer service was outstanding and the cabin was beautiful and clean! We will definitely be back! Southern Exposure is amazing! 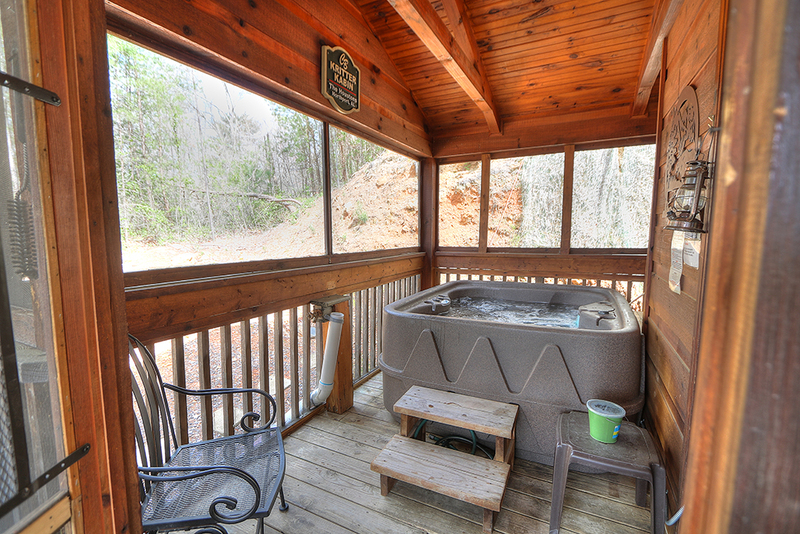 It is the perfect size and in the perfect place for a relaxing getaway for two. We loved the view! The sounds from all the farm animals below was the best. This was our first visit to TN and we cannot wait to come back. 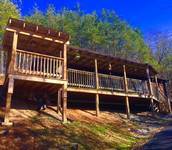 Very cute cabin, very close to downtown and surrounding towns and GSM, but the feel the you’re in the woods. Comfortable for a couple, perfect by myself! Views were great and it was very cozy We enjoyed our stay at this cozy little cabin! 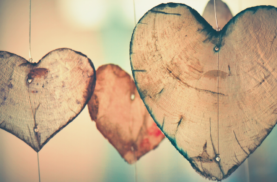 We came for our honeymoon and absolutely loved the stay. 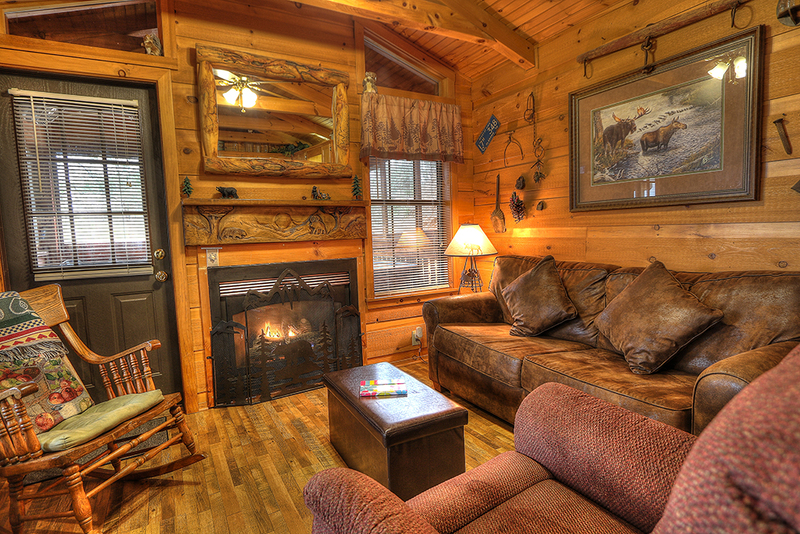 The cabin was perfect for us., it felt like a home away from home. The location could not have been better, near the Park. Our favorite part was Wahoo ziplines, if you have a chance please go. It is well worth it. The rooster waking us up reminded us of our child hood at Gmomma's house. So great to be reminded of her and we saw goats also along with many turkeys. We will be back soon. 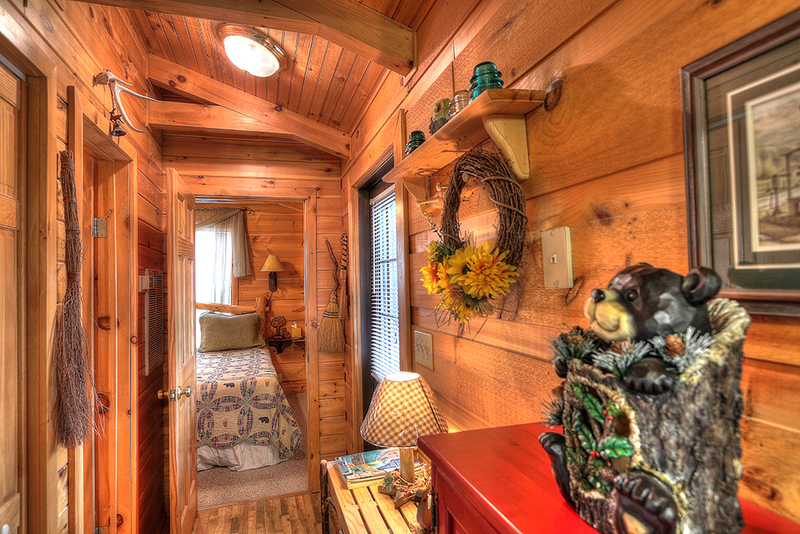 Perfect cabin for our small family consisting of myself, wife and 3 month old son. We loved sitting out in the fresh air and viewing the mountains. We would love to stay again when we are in the area. I'm retired and share a home with my daughter and granddaughter. I was looking for somewhere to just relax and have some alone time while enjoying the great view. Southern Exposure provided that. 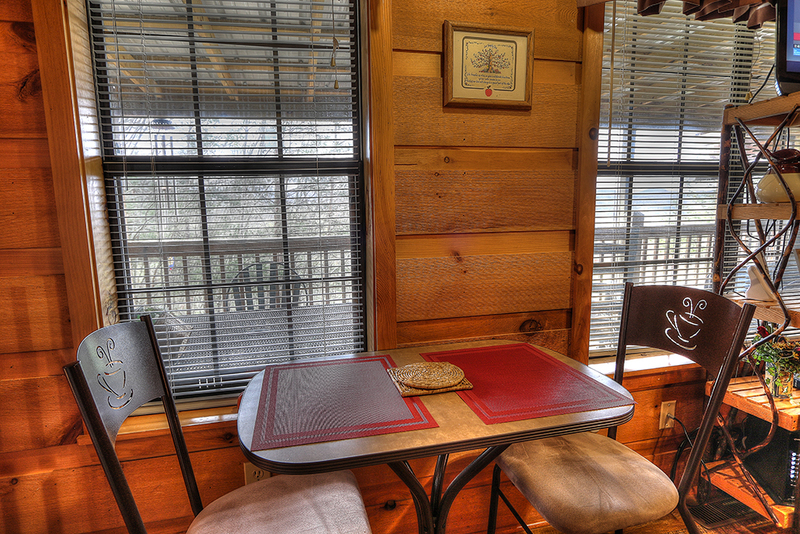 The cabin is cute and well maintained. I wish the weather had been a little cooler so I could have been outside more! But this has been a hot summer around here. I loved the porch and the rockers. 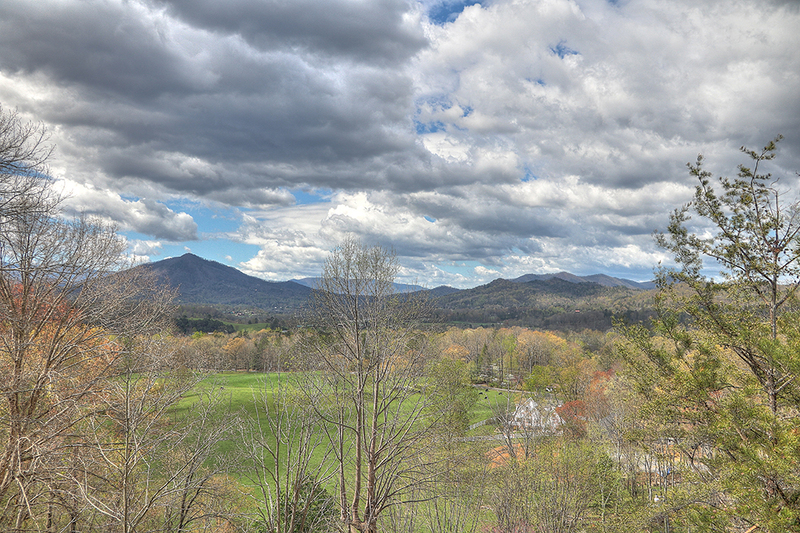 Perfect place to get away from the city, and enjoy a peaceful, stress-free vacation. The cabin was small, but extremely comfortable. 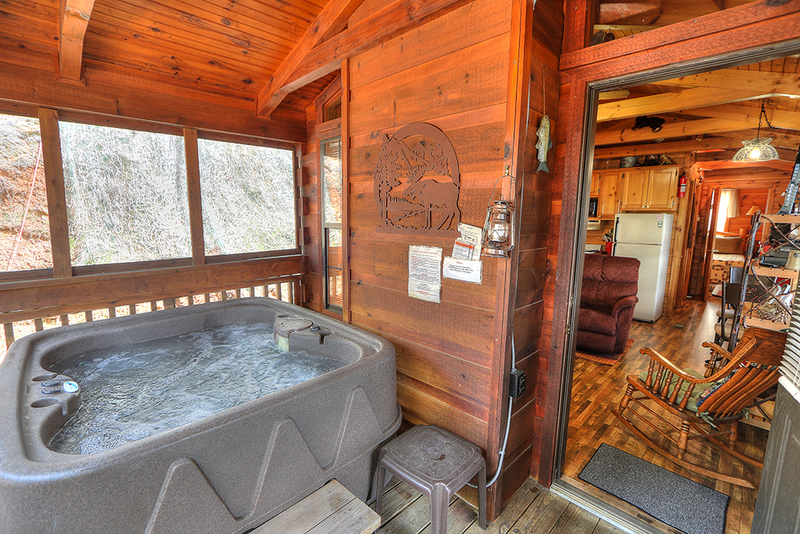 Perfect for a honeymooning couple or even just a couple who wants some peace and quiet! Close enough to town for a night out, but far enough away to not be bothered with the city noises, smell, or crowd. We already are planning a return trip soon! 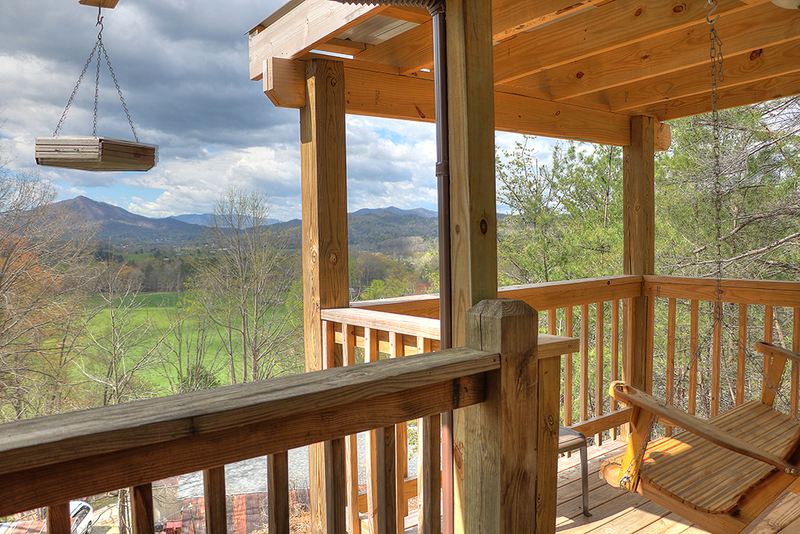 Adorable cabin with great views of the mountains. 3506 Country Dreams Way, Sevierville, TN, 37862, United States Date of Stay Jul 28, 2017 Beautiful views! Great location! 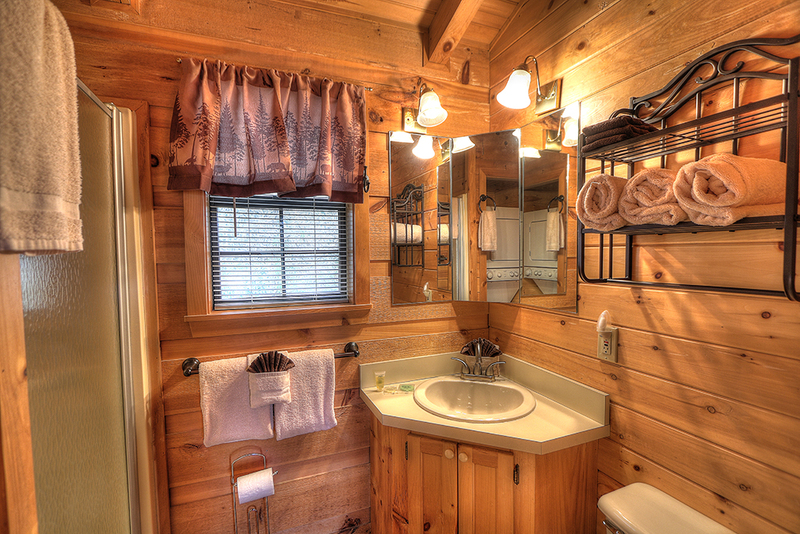 The cabin was clean and had everything you would want. We had an amazing time here this week, it was the perfect size for the two of us. The hot tub was nice to relax in after a long day of hiking. Will definitely be visiting again!!! My daughters and I stayed for three nights in this cute little cabin. 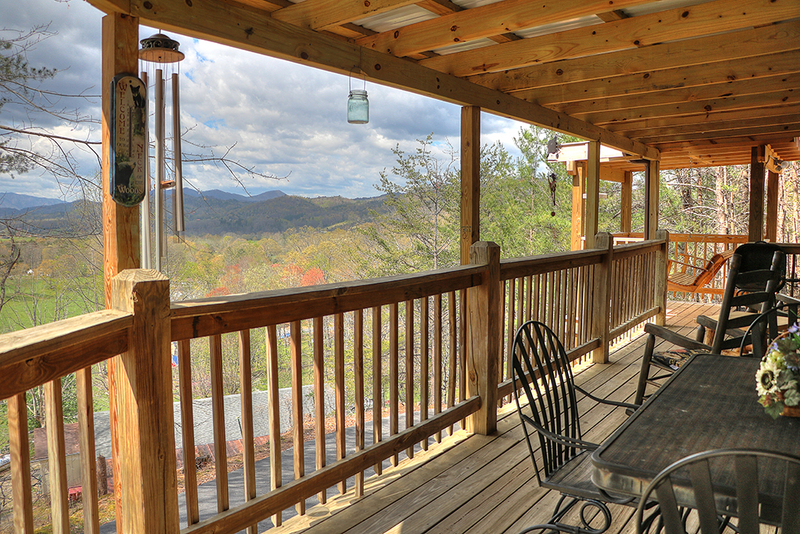 The view is nice, the porch is very relaxing, and the hot tub was wonderful. 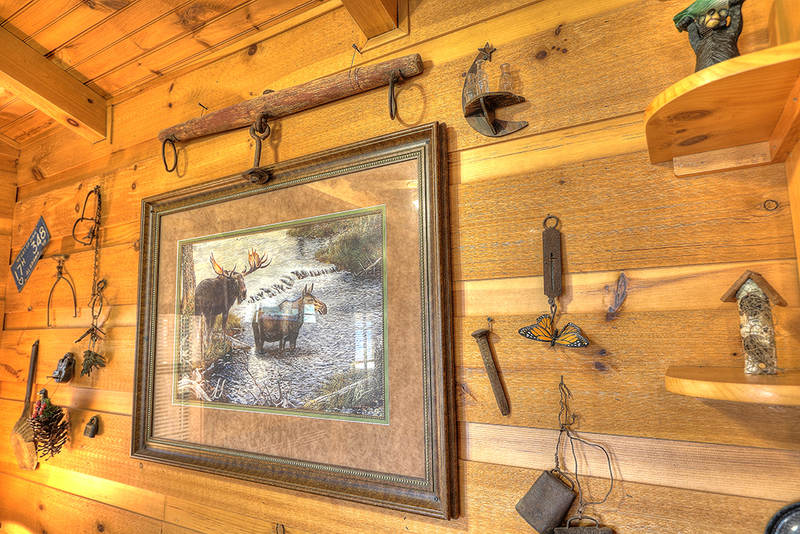 If you are looking for a little rustic cabin this is the place for you. 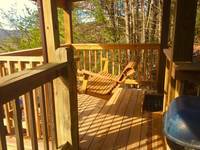 It is within 10 minutes of Pigeon Forge and not to far from Gatlinburg. We will definitely stay there again. 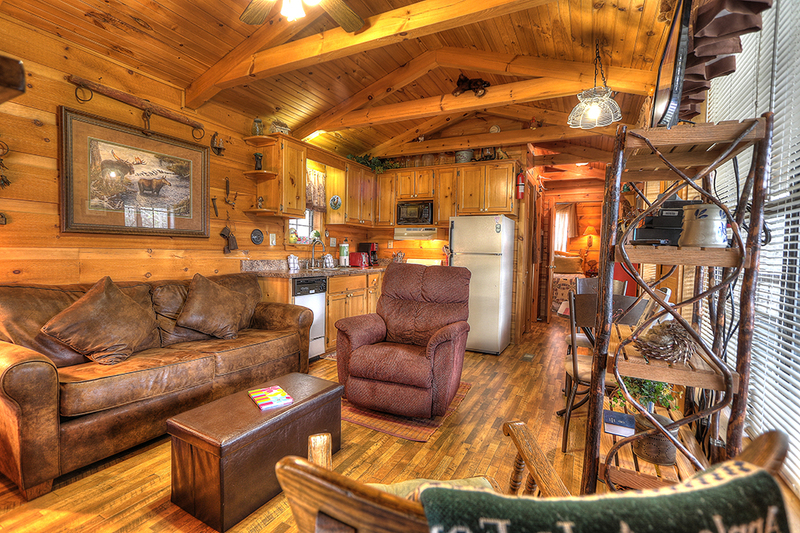 The cabin was well kept and cozy. Photos of the owner's family around the house made it feel a bit more like an Air B&B than a rental. 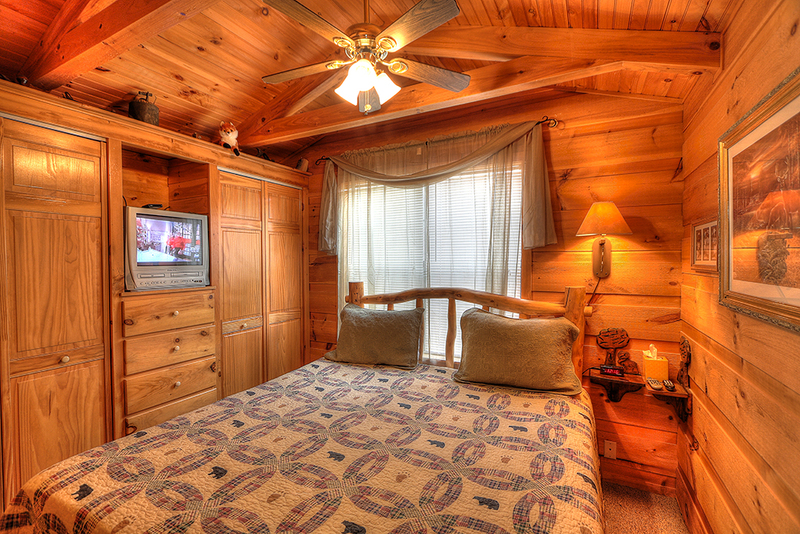 The location was private yet close enough to town to make it easy to explore Pigeon Forge, Gatlinburg & Townsend. 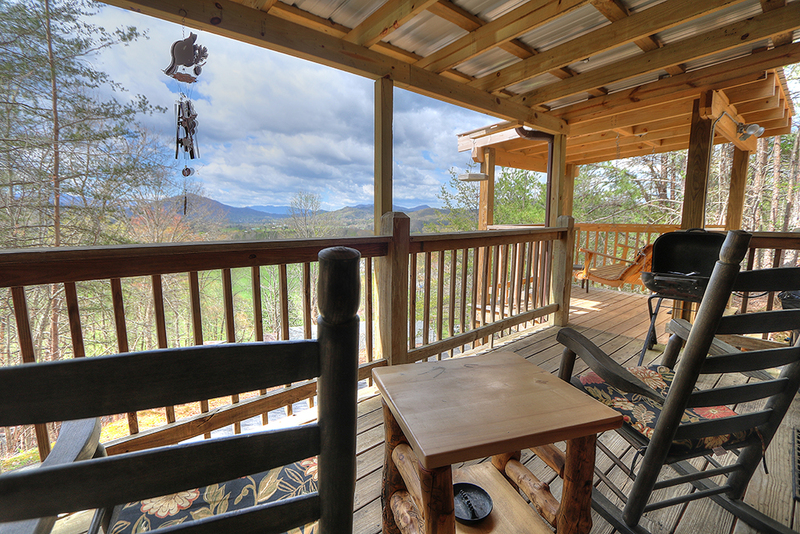 I especially enjoyed the spacious porch and the view of the surrounding valley. I would certainly stay at Southern Exposure again!